The Saffir–Simpson hurricane wind scale (SSHWS), formerly the Saffir–Simpson hurricane scale (SSHS), classifies hurricanes – Western Hemisphere tropical cyclones that exceed the intensities of tropical depressions and tropical storms –into five categories distinguished by the intensities of their sustained winds. To be classified as a hurricane, a tropical cyclone must have one-minute maximum sustained winds of at least 74 mph (33 m/s ; 64 kn ; 119 km/h ) (Category 1). The highest classification in the scale, Category 5, consists of storms with sustained winds over 156 mph (70 m/s; 136 kn; 251 km/h). The classifications can provide some indication of the potential damage and flooding a hurricane will cause upon landfall. The metre per second is an SI derived unit of both speed (scalar) and velocity, defined by distance in metres divided by time in seconds. A Pacific hurricane is a mature tropical cyclone that develops within the eastern and central Pacific Ocean to the east of 180°W, north of the equator. For tropical cyclone warning purposes, the northern Pacific is divided into three regions: the eastern, central, and western, while the southern Pacific is divided into 2 sections, the Australian region and the southern Pacific basin between 160°E and 120°W. Identical phenomena in the western north Pacific are called typhoons. This separation between the two basins has a practical convenience, however, as tropical cyclones rarely form in the central north Pacific due to high vertical wind shear, and few cross the dateline. Other areas use different scales to label these storms, which are called cyclones or typhoons , depending on the area. These areas (except the JTWC) use three-minute or ten-minute averaged winds to determine the maximum sustained winds—which is an important difference and makes direct comparison with storms scaled with the Saffir–Simpson method difficult. A typhoon is a mature tropical cyclone that develops between 180° and 100°E in the Northern Hemisphere. This region is referred to as the Northwestern Pacific Basin, and is the most active tropical cyclone basin on Earth, accounting for almost one-third of the world's annual tropical cyclones. 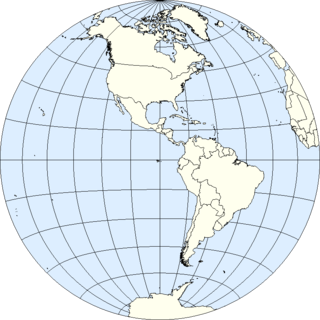 For organizational purposes, the northern Pacific Ocean is divided into three regions: the eastern, central, and western. The Regional Specialized Meteorological Center (RSMC) for tropical cyclone forecasts is in Japan, with other tropical cyclone warning centers for the northwest Pacific in Hawaii, the Philippines and Hong Kong. While the RSMC names each system, the main name list itself is coordinated among 18 countries that have territories threatened by typhoons each year A hurricane is a storm that occurs in the Atlantic Ocean or the northeastern Pacific Ocean, a typhoon occurs in the northwestern Pacific Ocean, and a tropical cyclone occurs in the South Pacific or the Indian Ocean. A storm surge, storm flood, tidal surge or storm tide is a coastal flood or tsunami-like phenomenon of rising water commonly associated with low pressure weather systems, the severity of which is affected by the shallowness and orientation of the water body relative to storm path, as well as the timing of tides. Most casualties during tropical cyclones occur as the result of storm surges. It is a measure of the rise of water beyond what would be expected by the normal movement related to tides. Herbert Seymour Saffir was an American civil engineer who co-developed the Saffir–Simpson Hurricane Scale for measuring the intensity of hurricanes. As recently as 2005 Saffir was the principal of Saffir Engineering in Coral Gables, Florida. He also published articles on designing buildings for high wind resistance. Robert Homer Simpson was an American meteorologist, hurricane specialist, first director of the National Hurricane Research Project (NHRP) from 1955–1959, and a former director (1967–1974) of the National Hurricane Center (NHC). He was the co-developer of the Saffir–Simpson Hurricane Scale with Herbert Saffir. His wife was Joanne Simpson. Typhoon Vera, also known as the Isewan Typhoon, was an exceptionally intense tropical cyclone that struck Japan in September 1959, becoming the strongest and deadliest typhoon on record to make landfall on the country. The storm's intensity resulted in damage of unparalleled severity and extent, and was a major setback to the Japanese economy, which was still recovering from World War II. In the aftermath of Vera, Japan's disaster management and relief systems were significantly reformed, and the typhoon's effects would set a benchmark for future storms striking the country. The 1971 Pacific hurricane season began on May 15, 1971, in the east Pacific, and on June 1, 1971, in the central Pacific. It ended on November 30, 1971. These dates conventionally delimit the period of time when tropical cyclones form in the east Pacific Ocean. Super Typhoon Nancy, also known as the 2nd Muroto Typhoon, was an extremely powerful tropical cyclone of the 1961 Pacific typhoon season and one of the most intense tropical cyclones on record. The system possibly had the strongest winds ever measured in a tropical cyclone, tied with Hurricane Patricia of 2015. Nancy caused extensive damage, as well as at least 173 deaths and thousands of injuries in Japan and elsewhere, in September 1961. Typhoon Rose, known in the Philippines as Typhoon Uring, was the most violent and intense tropical cyclone to strike Hong Kong since Typhoon Wanda in 1962. The 21st named storm of the 1971 Pacific typhoon season, Rose developed from an area of disturbed weather while west of Guam on August 9. Moving west-northwestward, the storm briefly became a typhoon on the following day. After weakening to a tropical storm on August 11, Rose re-intensified into a typhoon several hours later. The system then curved westward and reached a primary peak intensity with winds of 205 km/h (125 mph) on August 13. Later that day, the typhoon made landfall near Palanan, Isabela in the Philippines. Rose weakened significantly while crossing the island of Luzon and was a minimal typhoon upon reaching the South China Sea on August 14. Tropical cyclone windspeed climatology is the study wind distribution amongst tropical cyclones, a significant threat to land and people. Since records began in 1851, winds from hurricanes, typhoons and cyclones have been responsible for fatalities and damage in every basin. Major hurricanes usually cause the most wind damage. Hurricane Andrew for example caused $45 billion in damage, most of it wind damage. The 1977 Andhra Pradesh cyclone was a devastating tropical cyclone that hit Andhra Pradesh in November 1977, killing at least 10,000 people. The 1924 Cuba hurricane is the earliest officially classified Category 5 Atlantic hurricane on the Saffir–Simpson scale, and one of two hurricanes to make landfall on Cuba at Category 5 intensity, the other being Hurricane Irma in 2017 – both are also tied for the strongest Cuban landfall in terms of maximum sustained winds. The hurricane formed on October 14 in the western Caribbean, slowly organizing as it tracked northwestward. By October 16, the storm attained hurricane status to the east of the Yucatán Peninsula, and subsequently executed a small counterclockwise loop. On October 18, the hurricane began undergoing rapid deepening, and the on next day it, reached an estimated peak intensity of 165 mph (270 km/h). Shortly thereafter, it struck extreme western Cuba at peak intensity, becoming the strongest hurricane on record to hit the country. Later the hurricane weakened greatly, striking southwestern Florida with winds of 90 mph (150 km/h) in a sparsely populated region. While crossing the state it weakened to tropical storm status, and after accelerating east-northeastward, it was absorbed by a cold front on October 23, to the south of Bermuda. Typhoon Olive was the strongest Pacific typhoon in 1952. The thirteenth tropical storm and the ninth typhoon of the season, it developed about 1,600 mi (2,600 km) southwest of Honolulu, Hawaii on September 13. The next day, the system attained tropical storm intensity. Beginning to rapidly intensify, Olive attained typhoon intensity on September 15. Olive reached Category 5 intensity on the modern-day Saffir–Simpson hurricane wind scale on September 16. Typhoon Elsie, known in the Philippines as Typhoon Tasing, was one of the most intense known tropical cyclones to make landfall in the Philippines. A powerful Category 5 super typhoon, Elsie formed out of a tropical disturbance on October 13, 1989, and initially moved relatively slowly in an area of weak steering currents. On October 15, the storm underwent a period of rapid intensification, attaining an intensity that corresponds to a Category 3 hurricane on the Saffir–Simpson Hurricane Scale. After taking a due west track towards the northern Philippines, the storm intensified further, becoming a Category 5 super typhoon hours before making landfall in Luzon. After moving inland, the typhoon rapidly weakened to a tropical storm. Once back over water in the South China Sea, wind shear prevented re-intensifcation. Elsie eventually made landfall in Vietnam on October 22 and dissipated the following day over Laos. Severe Tropical Cyclone Gwenda was tied with Cyclone Inigo as the most intense Australian tropical cyclone on record, with a barometric pressure of 900 hPa (mbar) and was the most intense storm worldwide in 1999. Forming out of a tropical disturbance over the Arafura Sea on 2 April 1999, the precursor to Gwenda tracked slowly westward and gradually became more organised. On 4 April, the system developed into a Category 1 cyclone and was named Gwenda. It began to undergo explosive intensification the following day, and in a 30-hour span ending early on 7 April, the storm's maximum 10-minute sustained wind speed increased from 75 km/h (45 mph) to 225 km/h (140 mph) and its barometric pressure decreased to 900 hPa (mbar). The Joint Typhoon Warning Center reported that the storm had peaked as a high-end Category 4 equivalent on the Saffir–Simpson hurricane scale. The 1898 Georgia hurricane was a major hurricane that hit the U.S. state of Georgia, as well as the strongest on record in the state. It was first observed on September 29, although modern researchers estimated that it developed four days earlier to the east of the Lesser Antilles. The hurricane maintained a general northwest track throughout its duration, and it reached peak winds of 135 mph (215 km/h) on October 2. That day, it made landfall on Cumberland Island in Camden County, Georgia, causing record storm surge flooding. The hurricane caused heavy damage throughout the region, and killed at least 179 people. Impact was most severe in Brunswick, where a 16 ft (4.9 m) storm surge was recorded. Overall damage was estimated at $1.5 million (1898 USD), most of which occurred in Georgia. In extreme northeastern Florida, strong winds nearly destroyed the city of Fernandina, while light crop damage was reported in southern South Carolina. After moving ashore, the hurricane quickly weakened and traversed much of North America; it continued northwestward until reaching the Ohio Valley and turning northeastward, and it was last observed on October 6 near Newfoundland. The following is a glossary of tropical cyclone terms. Typhoon Betty, known in the Philippines as Typhoon Herming, was a powerful and destructive tropical cyclone that struck the Philippines in August 1987. The seventh typhoon and second super typhoon of the active typhoon season, it formed from the monsoon trough that spawned a tropical cyclone on August 8 while around positioned well to the east of the Philippines. It drifted northwestward, becoming a tropical storm on August 9 and a typhoon on August 10. Betty turned westward, where it rapidly intensified before attaining peak intensity on August 11. The next day, Typhoon Betty made landfall in the central Philippines. Betty weakened rapidly over the country, but restrengthened somewhat over the South China Sea. Land interaction weakened Betty slightly before it hit central Vietnam on August 16. The next day, Betty dissipated. Typhoon Wayne known in the Philippines as Typhoon Katring was an intense tropical cyclone that brought significant flooding to the Philippines in July 1983. The typhoon originated from an area of disturbed weather that formed far from land towards the end of July. Late on July 22, Wayne developed gale-force winds while moving west. The next day, it was estimated to have become a typhoon, and Wayne subsequently entered a period of rapid deepening. During the morning hours of July 24, the typhoon was estimated to have reached its peak intensity of 205 km/h (125 mph), but soon began to weaken due to interaction with land. By the time it moved ashore in southern China on July 25, Wayne had weakened considerably. After moving inland, Wayne weakened rapidly. The following day, Wayne was no longer a tropical cyclone. The 1888 Louisiana hurricane was a major hurricane that caused significant flooding and wind damage to the Mississippi River Delta and the Mississippi Valley in late August 1888. It was the third tropical cyclone and second hurricane of the 1888 Atlantic hurricane season. The cyclone first appeared north-northeast of the Turks and Caicos Islands, but may have formed earlier, undetected. It moved west-northwest, reaching hurricane intensity and making several landfalls in the Bahamas. In the island chain, the hurricane caused some damage to shipping, fruit groves, and fences, but apparently caused no known deaths. ↑ Williams, Jack (May 17, 2005). "Hurricane scale invented to communicate storm danger". USA Today . Retrieved February 25, 2007. ↑ Staff writer (May 9, 1973). "'73, Hurricanes to be Graded". Associated Press. Archived from the original on May 19, 2016. Retrieved December 8, 2007. 1 2 Debi Iacovelli (July 2001). "The Saffir/Simpson Hurricane Scale: An Interview with Dr. Robert Simpson". Sun-Sentinel . Fort Lauderdale, FL. Retrieved September 10, 2006. ↑ Press Writer (August 23, 2001). "Hurricanes shaped life of scale inventor". Archived from the original on April 17, 2016. Retrieved March 20, 2016. 1 2 3 4 5 6 7 8 The Saffir–Simpson Hurricane Wind Scale National Hurricane Center. Accessed 2009-05-15. ↑ National Hurricane Operations Plan Archived July 8, 2011, at the Wayback Machine , NOAA. Accessed July 3, 2010. 1 2 3 Ker Than (October 20, 2005). "Wilma's Rage Suggests New Hurricane Categories Needed". LiveScience . Retrieved October 20, 2005. ↑ "Experimental Saffir–Simpson Hurricane Wind Scale" (PDF). National Hurricane Center. 2009. ↑ Public Information Statement, NOAA. Accessed March 9, 2012. ↑ Tropical Cyclone Weather Services Program (June 1, 2006). "Tropical cyclone definitions" (PDF). National Weather Service. Retrieved November 30, 2006. ↑ Federal Emergency Management Agency (2004). "Hurricane Glossary of Terms". Archived from the original on December 14, 2005. Retrieved March 24, 2006. Accessed through the Wayback Machine. ↑ "Name That Hurricane: Famous Examples of the 5 Hurricane Categories". Live Science. Retrieved September 11, 2017. ↑ "Famous Hurricanes of the 20th and 21st Century in the United States" (PDF). www.weather.gov/crh/. ↑ Blake, Eric (September 20, 2017). Hurricane Maria Tropical Cyclone Update (Report). National Hurricane Center. Retrieved September 20, 2017. ↑ Kantha, L. (January 2006). "Time to Replace the Saffir–Simpson Hurricane Scale?" (PDF). Eos . 87 (1): 3, 6. Bibcode:2006EOSTr..87....3K. doi:10.1029/2006eo010003 . Retrieved December 8, 2007. ↑ Kantha, Lakshmi (February 2008). "Tropical Cyclone Destructive Potential by Integrated Kinetic Energy". Bulletin of the American Meteorological Society . 89 (2): 219–221. Bibcode:2008BAMS...89..219K. CiteSeerX 10.1.1.693.5083 . doi:10.1175/BAMS-89-2-219. ↑ Benfield Hazard Research Centre (2006). "Atmospheric Hazards". Hazard & Risk Science Review 2006. University College London. Archived from the original on 7 August 2008. Retrieved 8 December 2007. ↑ Bill Blakemore (May 21, 2006). "Category 6 Hurricanes? They've Happened: Global Warming Winds Up Hurricane Scientists as NOAA Issues Its Atlantic Hurricane Predictions for Summer 2006". ABC News . Retrieved September 10, 2006. ↑ "Climate scientists mull Category 6 storm classification, report says". ABC News. February 22, 2018. ↑ "Hurricane Irma: Will Irma become world's first CATEGORY 6 hurricane with 200mph winds?". Daily Express . September 5, 2017. ↑ Debi Iacovelli and Tim Vasquez (1998). "Supertyphoon Tip: Shattering all records" (PDF). Monthly Weather Log. National Oceanic and Atmospheric Administration. Retrieved September 19, 2010. ↑ "Category 6? Scientists warn hurricanes could keep getting stronger". Tampa Bay Times. 2018-11-30. Retrieved 2018-11-30. ↑ Jennifer Kay (September 2017). "Irma could test strength of Florida's strict building codes". The Washington Post . Washington, DC. Retrieved September 16, 2017.